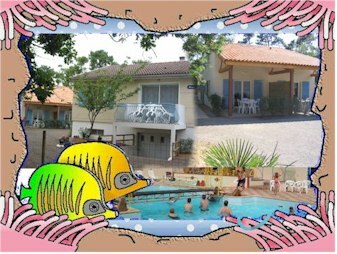 Border the forest of Longeville / Mer in Vendée, and in the town of Jard / Mer, 5 accomodations for 6/8 persons are at your disposal. - They are located 250 meters from the beach and 900 meters from the marina and the center of the town. - Direct and free access to the swimming pool of the 4 stars campsite " "
- Services and entertainment of the campsite are at your disposal. Tourism Office Campsite "La Pomme de Pin"